That's insanely cold. I've experienced -20F (-28C) before and it's no fun at all. As far as I know, that sort of thing doesn't happen in Japan, though I suppose it could. The surrounding ocean seems to protect us from quite a lot of weather that happens on the large land masses, but also provides a lot of moisture. It's been snowing all day. "In the beautiful Midwest, windchill temperatures are reaching minus 60 degrees, the coldest ever recorded. In coming days, expected to get even colder. People can’t last outside even for minutes. What the hell is going on with Global Waming? Please come back fast, we need you!" 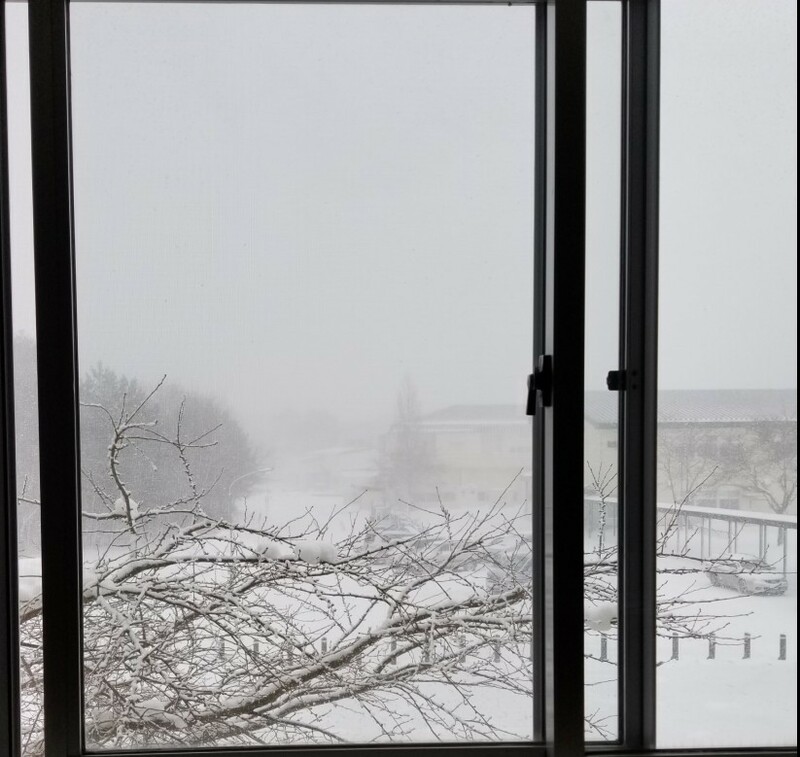 The view out the classroom window.